1 Burke, John and John Bernard Burke, A Genealogical and Heraldic History of the Extinct and Dormant Baronetcies of England. Ireland, and Scotland, 2nd ed., London: Scott, Webster, and Geary (1844), 383, Google Books (Digital Library). 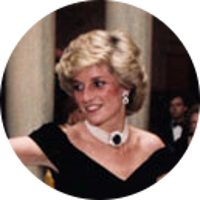 2 Evans, Richard K., The Ancestry of Diana, Princess of Wales , Boston: New England Historic Genealogical Society (2007), 311. 3 Roberts, Gary Boyd, The Royal Descents of 600 Immigrants to the American Colonies or the United States , Baltimore: Genealogical Publishing Co. (2008), 328.